How do I set up automatic grading assessment? 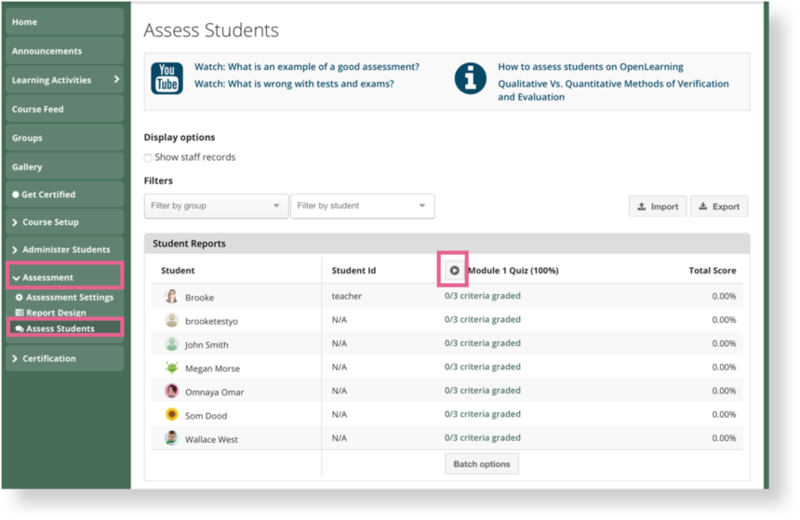 To reduce repetitive assessments, all quiz related activities (such as Multiple Choice Questions, Crossword Puzzle, Category Matching, Fill in the Blanks, and Matching Answers) can now be auto-marked. Select New Examination Report then click Add Report. A new report appears. 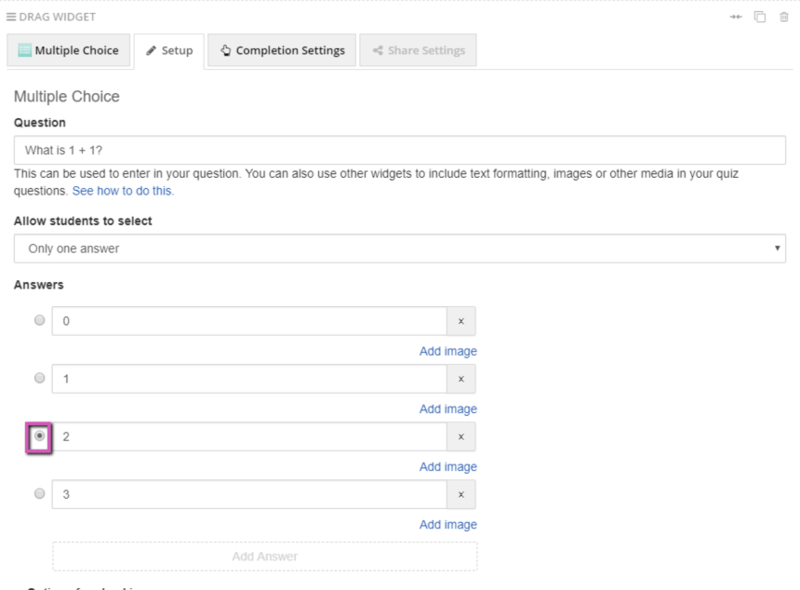 Click on Edit to add in relevant quiz pages. 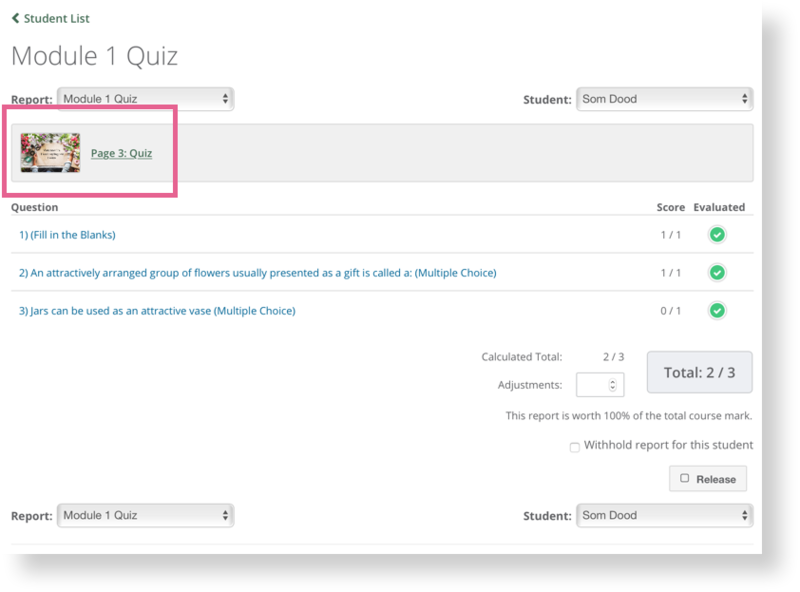 Where it says Add a quiz page type in the name of the page with the quiz that you wish to auto-assess. Click on Save to save the report. Important Tip: Make sure you have a Submit button on the Quiz page so that the Automatic Assessment runs correctly. To run the automatic grading, go to Assessment > Assess Students. Find the report you have just set up and click the Play button located next to the title. Click Run to finalise. You can click into a student's results to see a more detailed breakdown of their score. Click on the quiz page from within this view to see their answers in context. It is possible to make adjustments to the total score. You may wish to use this for special consideration cases or late adjustments. How do I view student answers to assessments? 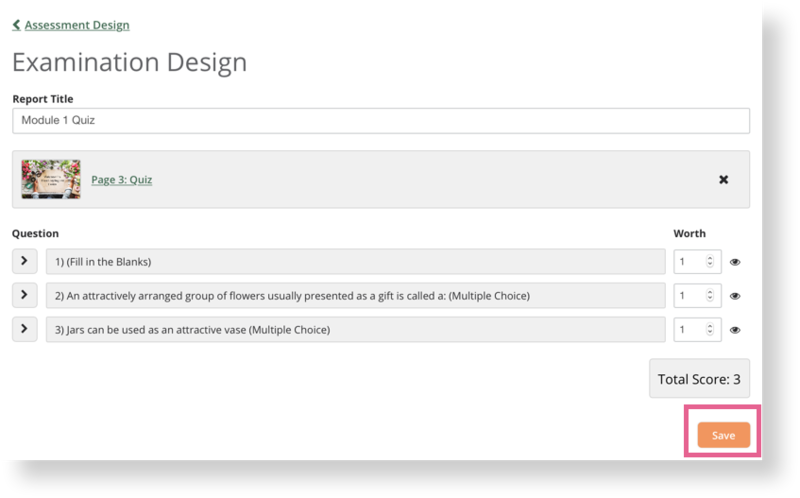 How can I randomise presentation of the Multiple Choice widget answers? The first answer must be the correct one when setting up the widget, but I'd like random presentation of the possible answers to my students. Robert McIntosh Hi Robert! The right answer doesn't need to be the first one. You can click on the radio button to mark the right one. Great idea Katarina Chmolova ! We'll get that updated. Hello again! I've noticed the 'visible' button on one of the screenshots - what is this button for? Katarina Chmolova - good question! The Visible button is for making the report visible or not to students. A visible report will display in a students' progress, where they can see the Report Criteria.